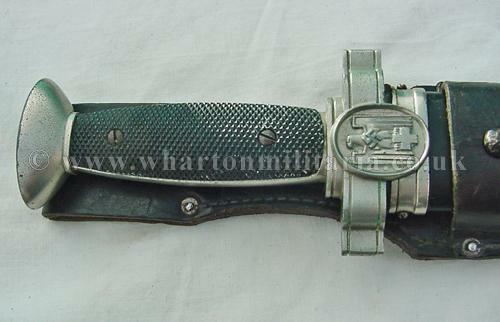 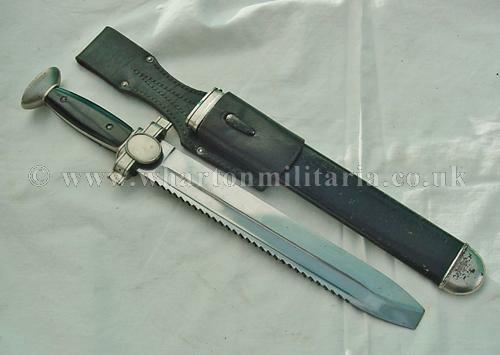 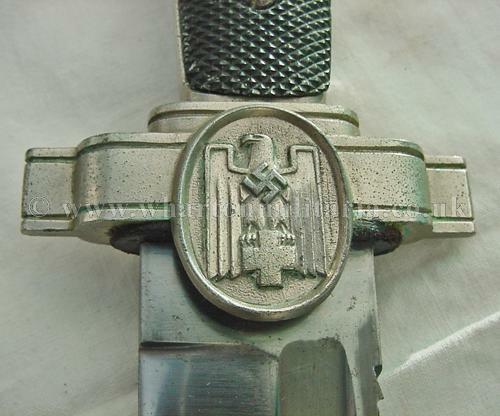 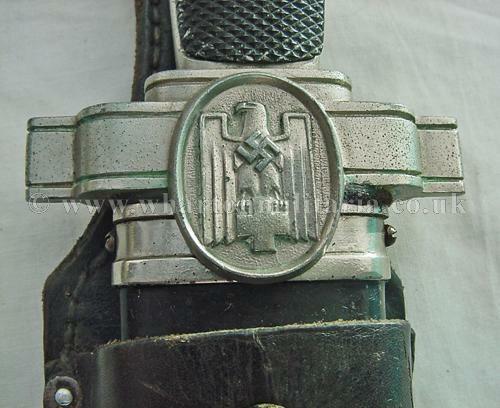 A DRK Red Cross mans saw-back hewer/dagger in absolutely excellent condition. 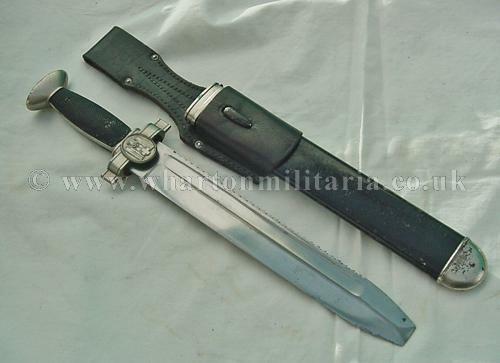 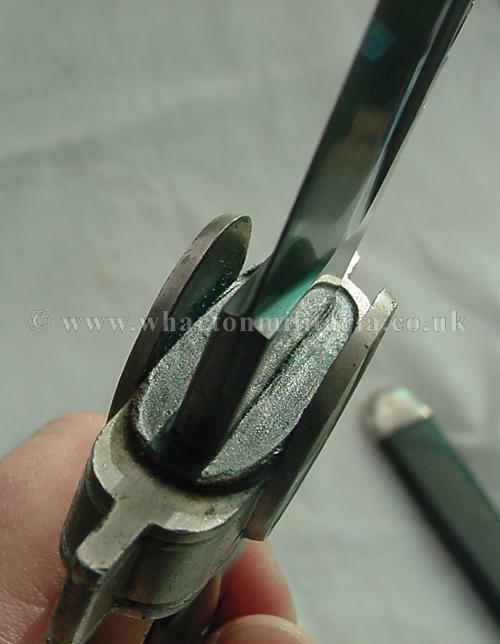 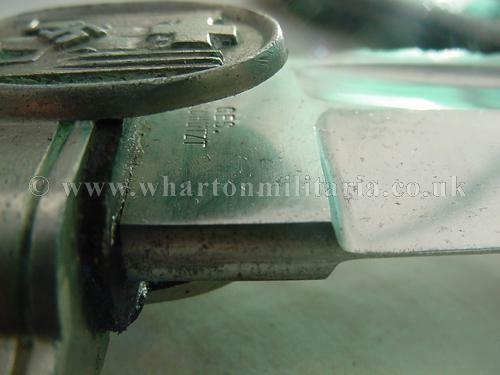 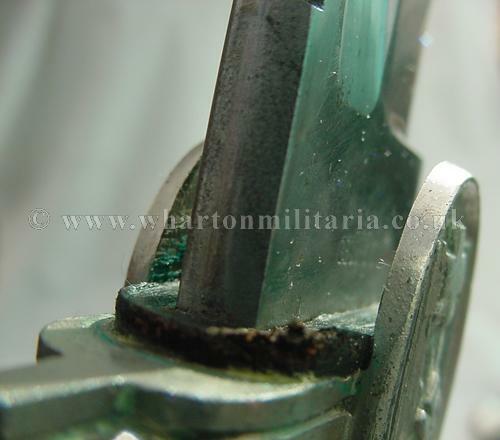 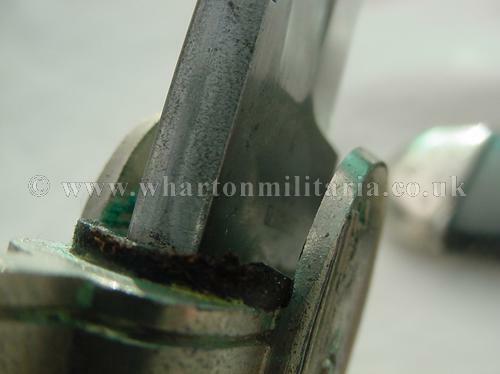 The dagger itself is a fine example of a DRK hewer retaining all its nickel plate finish. 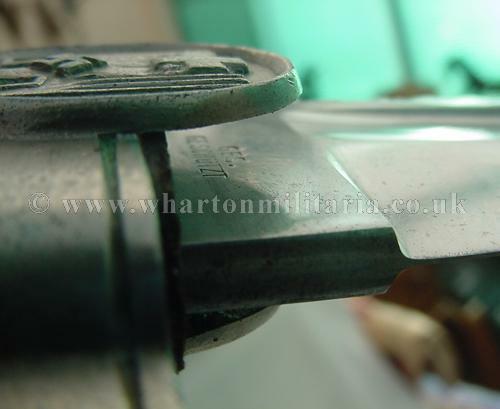 The blade is clean, retaining its factory finish and stamped Ges Getschtz under the cross guard, there is no wear on the teeth of the saw-back, not even the usual wear on the first teeth where the blade catches the scabbard mouth on resheathing the blade. 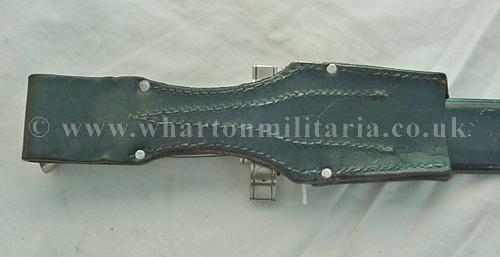 The scabbard retains almost all of its original paint finish on both the reverse and the front face, some minor loss of finish on the scabbard end cap. 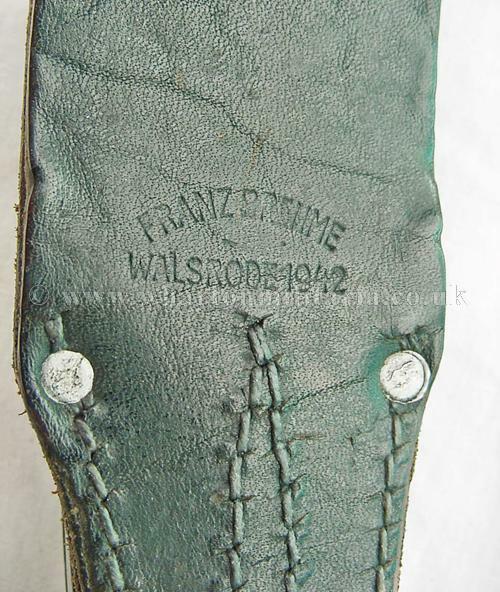 Hewer comes with its correct large black leather frog which is maker marked and dated “Franz & Rehme, Walsrode 1942” .